Following authority from the UK Government, today sees the of the British eSports Association. Located at Pinewood Studios, British eSports, acting as the National Governing Body for eSports in the United Kingdom, will work in conjunction with the Department for Culture, Media and Sport to help and represent players at all levels; develop a grassroots competitive video game scene that will nurture future talent; support existing professionals and provide the infrastructure to create future British global champions. The activities for British eSports will be easily accessible at www.BritisheSports.org , a portal providing the latest news on events, teams and leagues, alongside impartial advice for both players and parents. 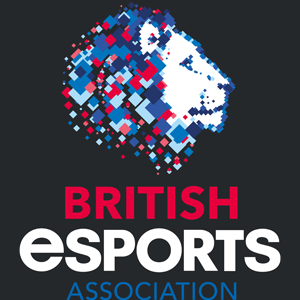 “The establishment of the British eSports Association is an important initiative in furthering the credibility of the eSports industry in the UK. Pinewood is excited to be part of this National Governing Body for eSports and is aiming to have a new National Training Centre for eSports to help with grassroots and future British Champions,” commented Jules Robinson, Head of Business Development, Pinewood Studios. The not for profit organisation, British eSports will be chaired by Andy Payne OBE, with Chester King in the role of acting CEO. The next three months will see a consultation period, during which British eSports will be gathering feedback from the UK eSports sector to ensure it fully represents the interests of individuals, teams, game publishers and broadcasters alike. Thoughts and ideas can be sent to info@britishesports.org . This entry was posted in 2, Developer, game, games, Games Developer, train, train 2 game, Train2Game, www.train2game-news.co.uk and tagged 2, British, developer, eSports, game, Games design, Games Developer, games industry, train, Train2Game, UK Games Industry by Train2Game Blogger Team. Bookmark the permalink.